Starrco designed a two-story, 4,500 square foot office space within our current warehouse space. The space now contains our sales office cubicles, 3 executive offices, a large meeting/training room and 2 bathrooms. Work was completed in September 2015 and employees have been enjoying their new digs ever since! 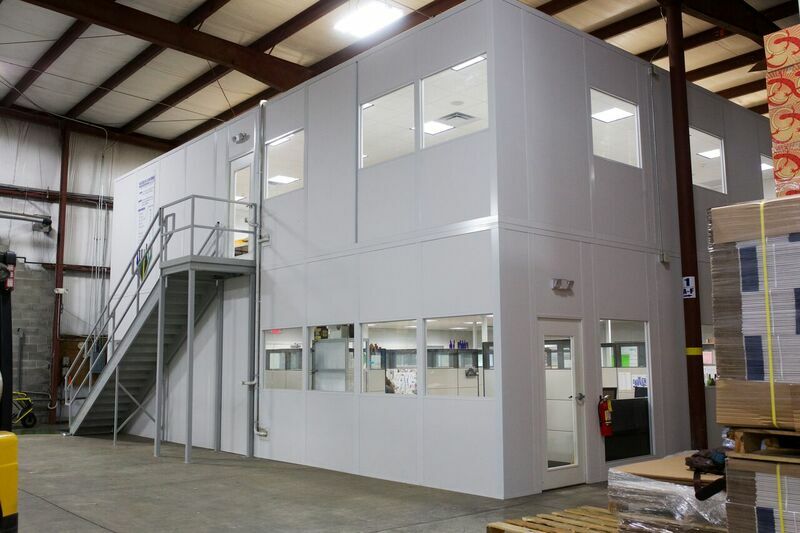 Waterloo decided to go with Starrco's modular concept (as opposed to conventional construction) as they could get us into our new space quicker, at a savings and with less disruption to workflow.